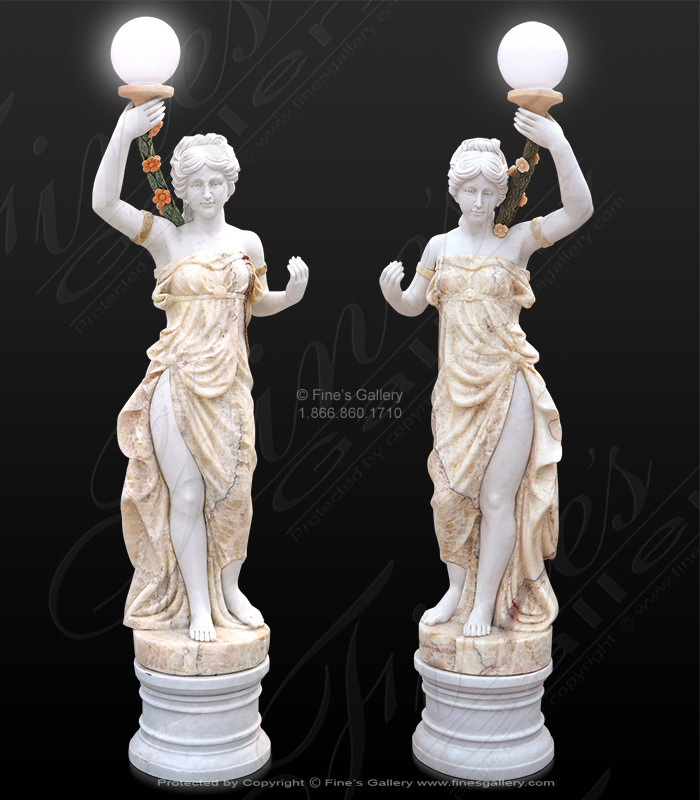 Carved Marble Figural Lamp Pair featuring two beautiful maidens. A Roman Warrior Statue Pair featuring heroic figures on his horse is the perfect portrait of courage and power. This breathtaking work of art is carved from fine marble with flawless attention to detail. 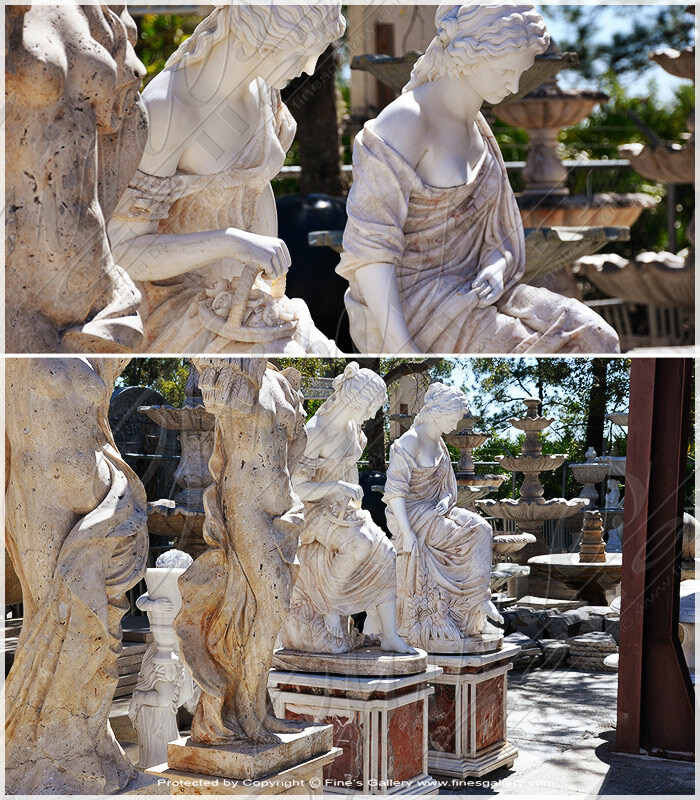 Make your estate feel like a majestic palace with these stunning life sized marble statues. 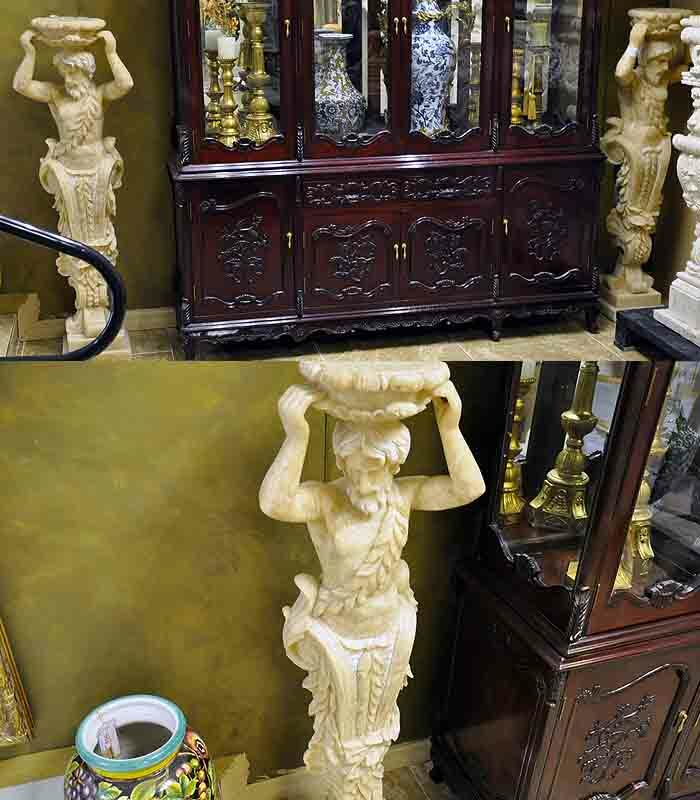 Each piece features a pair of classical style victorious warriors carved from lovely golden beige marble and set upon a gorgeous base made from dark marbles. Grecian Women Marble Statues. Two seated graceful ladies draped in robes of delicate light onyx and marble are beautiful and elegant as they pass the time in idle bliss. Imported European Style Natural Stone. This beautiful Bacchante maiden statue is finely detailed with stunning artistic realism. From her playful crown of grapes to the exotic vase lifted upon her shoulder, she is an enchanting vision of elegance and beauty. Priced per piece! 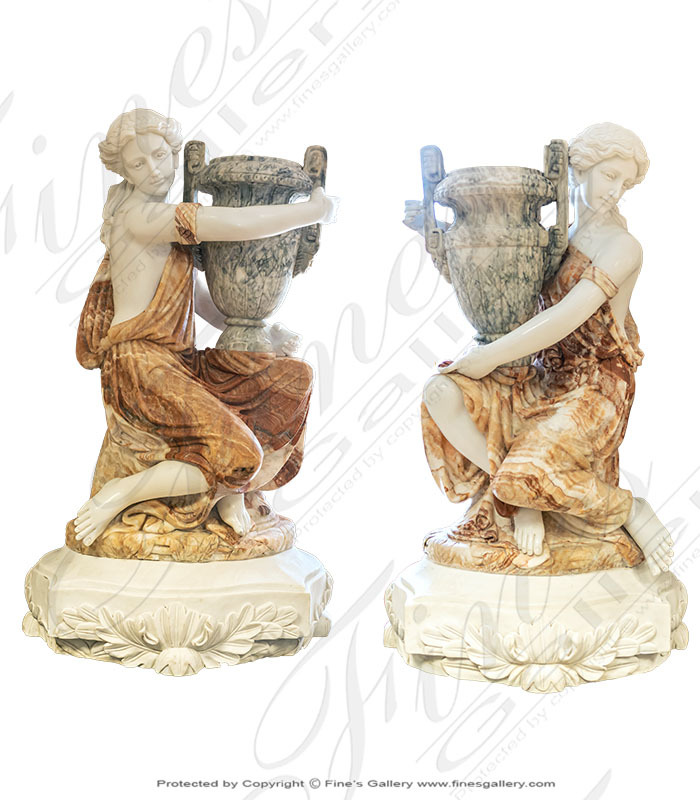 Finely hand sculpted from beautiful cream greek marble statue pair is richly detailed with ornate artistry. A rare set of accents for your home decor, this duo creates an exotic ambiance of mythical enchantment. Hand carved from solid marble this european statue set is sold per piece, per pair or as a set of four. Contact the gallery for assistance today at 1.866.860.1710. Kneeling Roman Marble Ladies carved from solid blocks of marble. 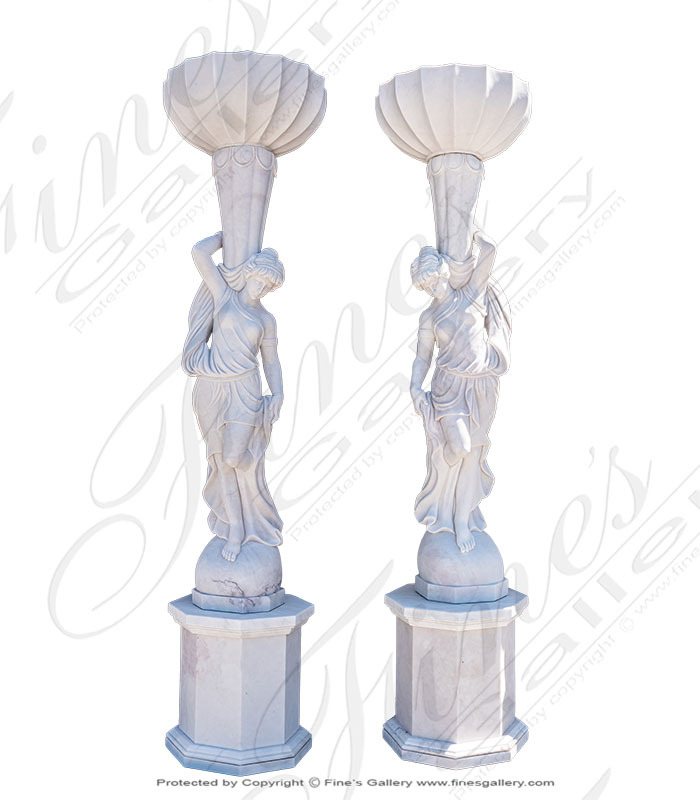 Available as shown or carved from solid white carrara or statuary white marble. 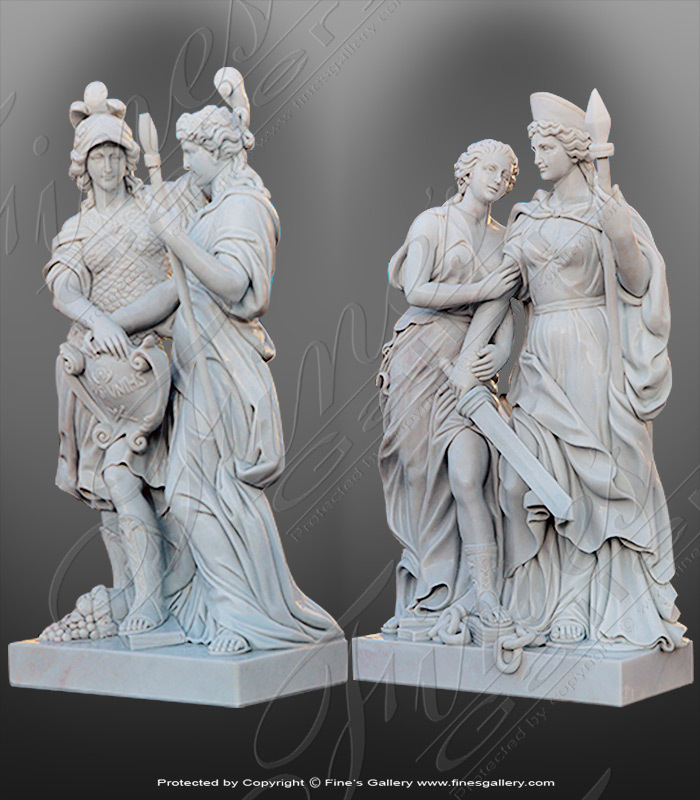 Imported fine marble statues. 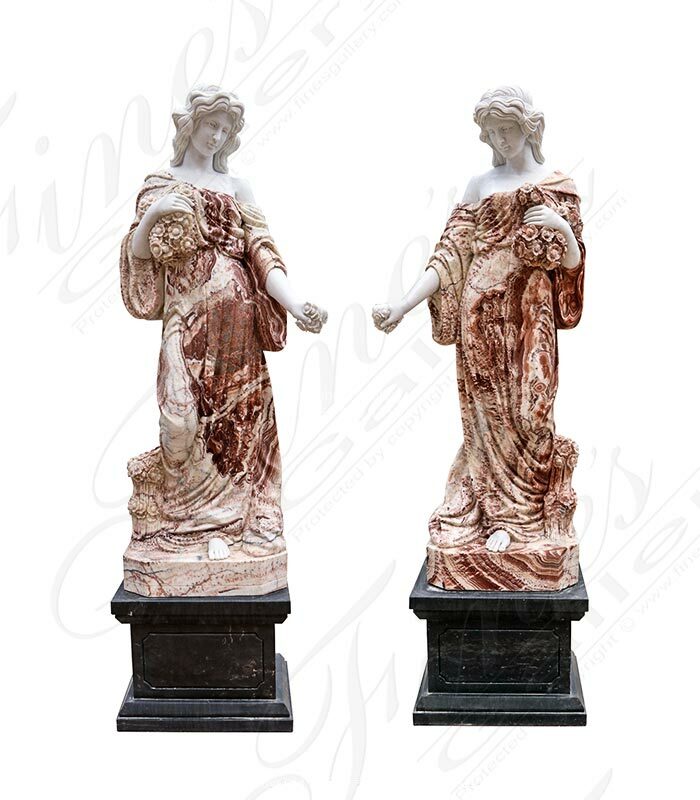 Life Size Roman Marble Female Statues carved from pure white marble and a rare red colored natural stone included with an empador black marble pedestal. 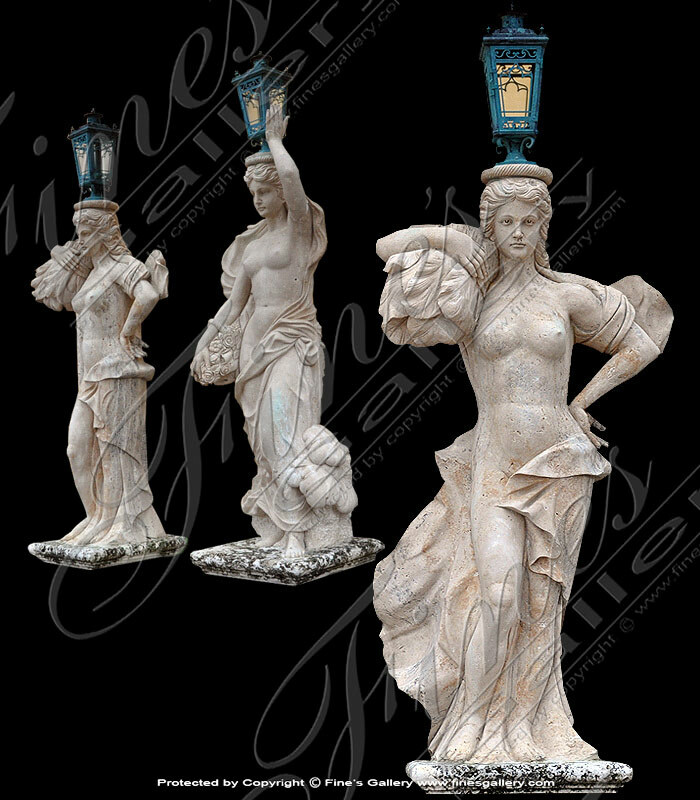 Available as shown or we can carve from statuary white or white carrara marble. 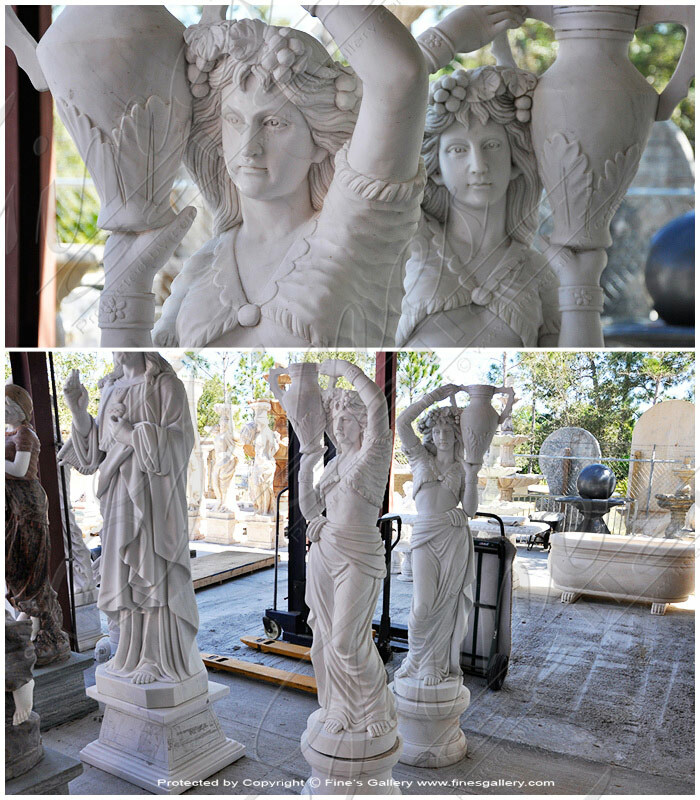 Marble Female Statues with Urns carved from solid pure statuary white marble. 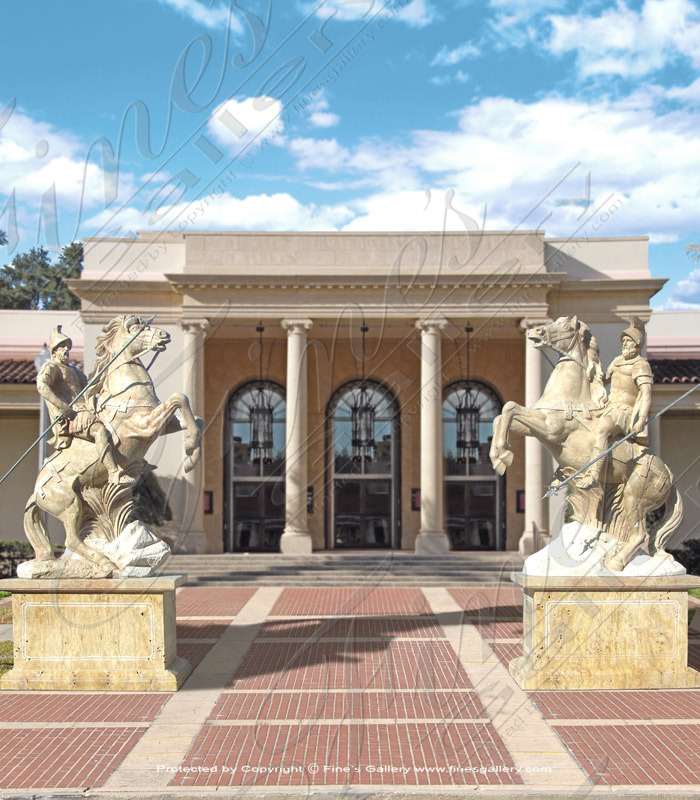 Standing at 9 feet tall including matching marble pedestals and each holding an impressive size carved marble urn. Available starting at four feet tall. 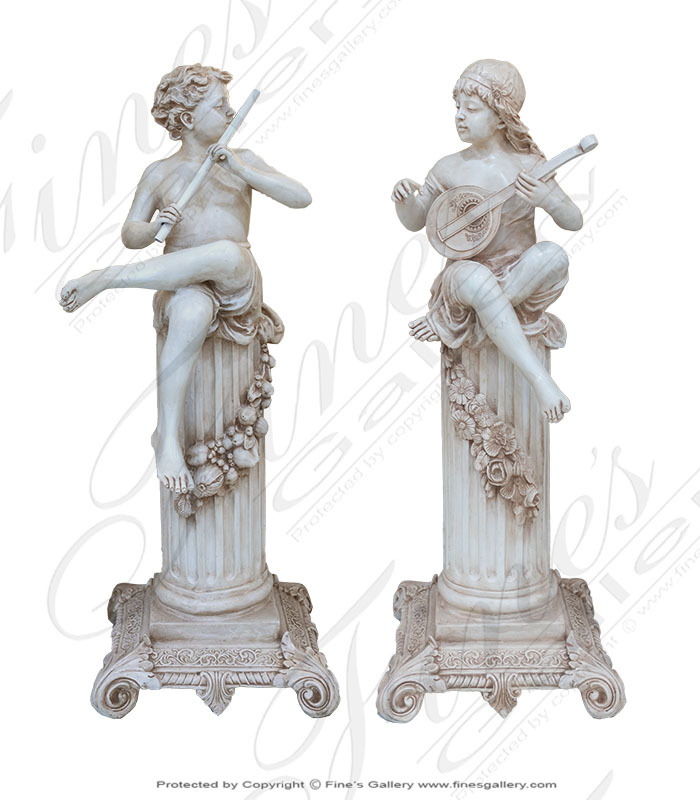 Cast Marble Child Flutist and Mandolin Player Pair. This cast stone statue pair features two children playing musical instruments, one depicting a young flutist, the other a young lady playing a mandolin, in classical style. The description for this beautiful Marble Statue is not available at this time. If you require additional information for this product please call 1-866-860-1710 and talk with a sales representative at anytime. 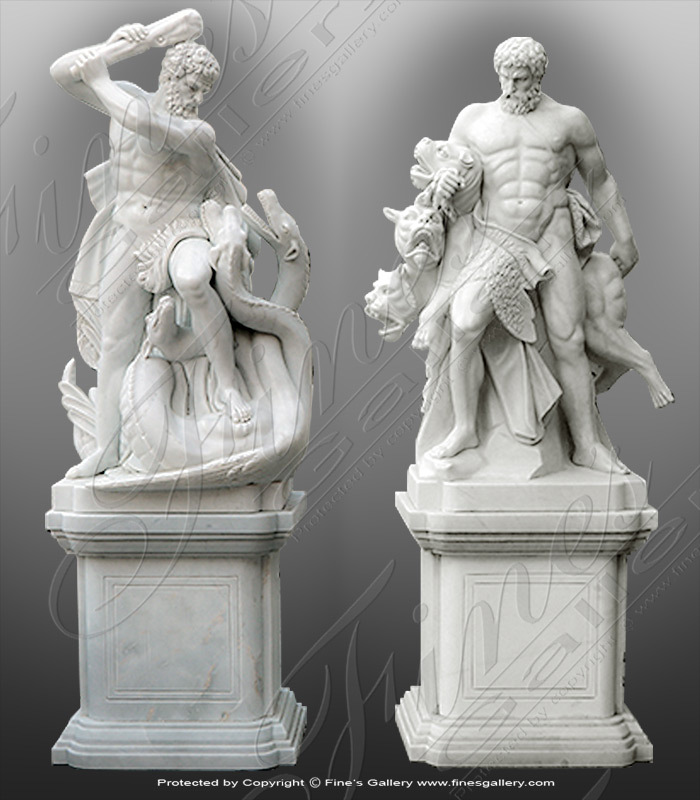 Solid hand carved reproduction of famous Hercules marble statues with pedestal. Carved from solid pure white marble with light gray veins. Available in light travertine and crema marfil. 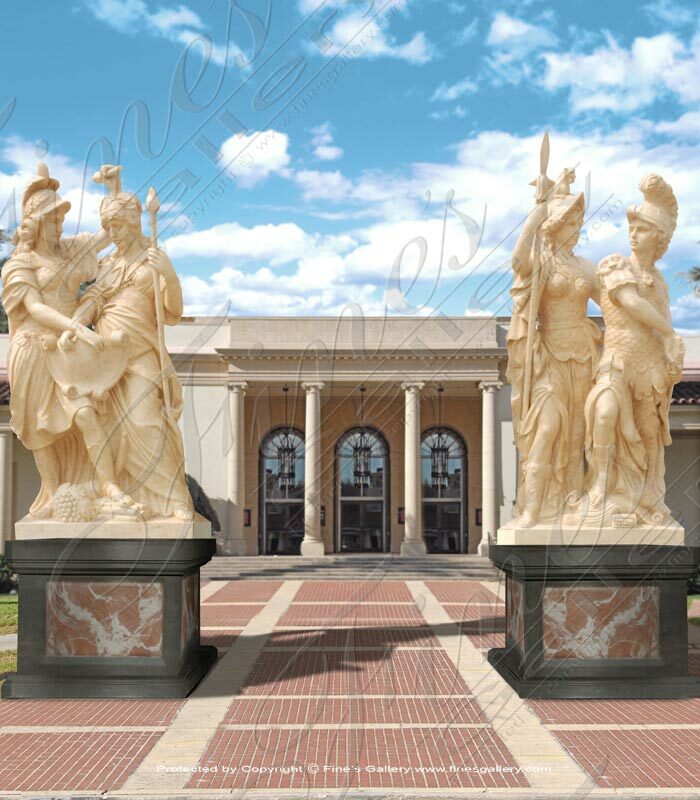 Our european style greco roman statues are all customizable. 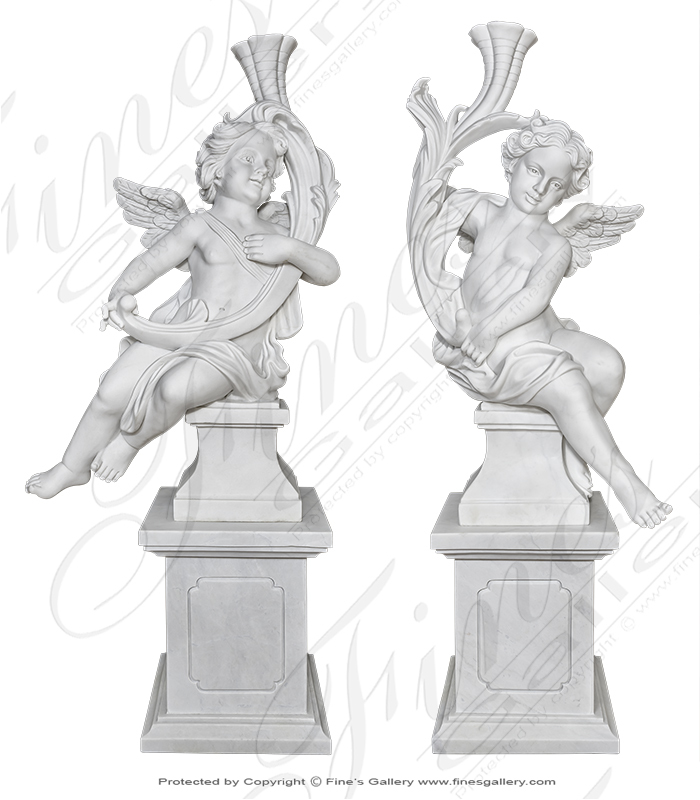 Carved Marble Cherub Statues. Bases sold separate. Carved from a very high quality light white marble. 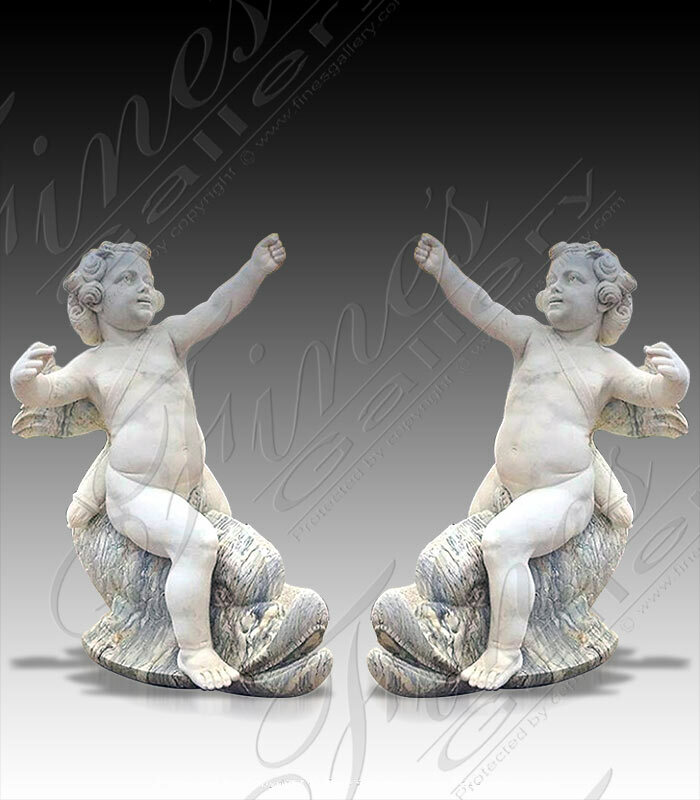 Antique Style Cherub Fish sculptures in solid marble. Price for a pair. 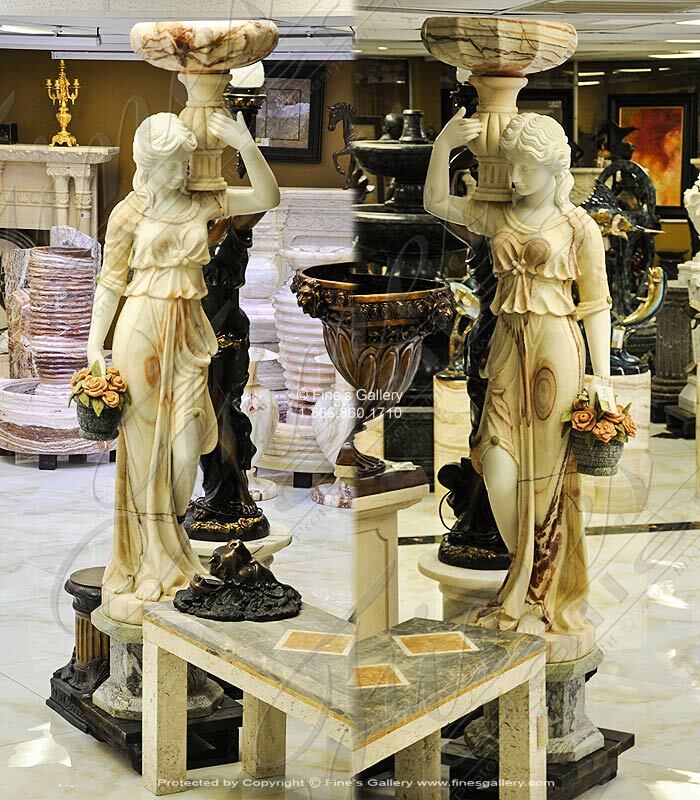 This Exotic Marble Statue Pair measures seven feet in total height inclusive of light verde marble bases and urns. The urns are hollow for use as planters!